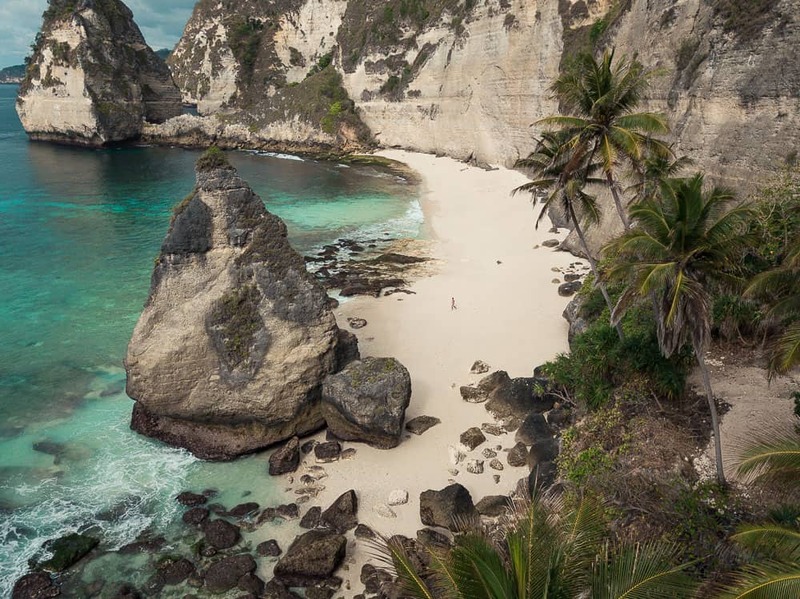 Atuh Beach is one of Nusa Penida’s most iconic locations. The natural rock arch that stretches over crystal clear turquoise waters will have you in awe as soon as you lay eyes on it. 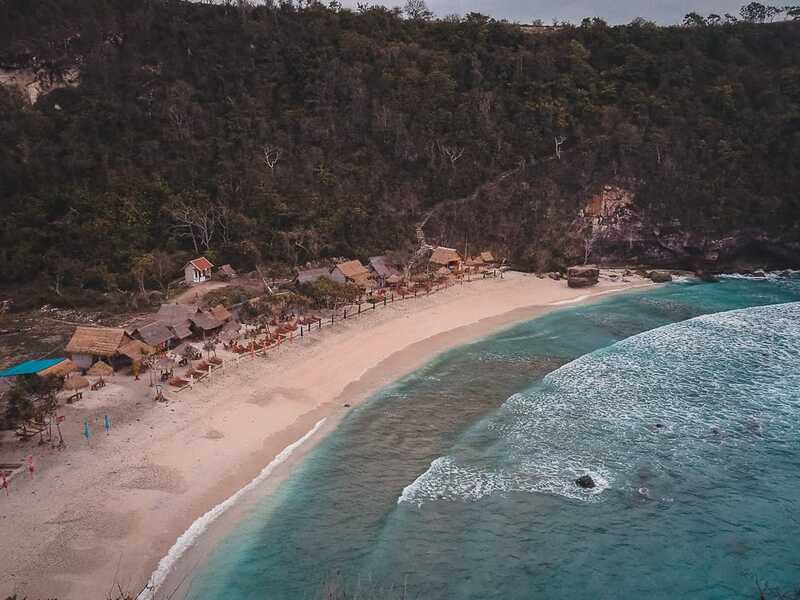 Atuh Beach is located on the far most eastern point of Nusa Penida island. From the main town of Toya Pakeh, it’s approximately a 45-minute drive to Atuh Beach. 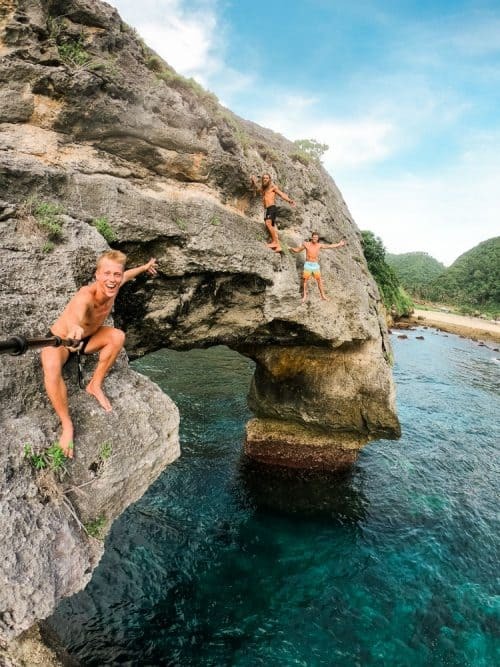 Pantai Atuh Nusa Penida can be accessed from either the left-hand side or the right-hand side of the cliffs via the concrete steps that are cut into the side of the mountain. 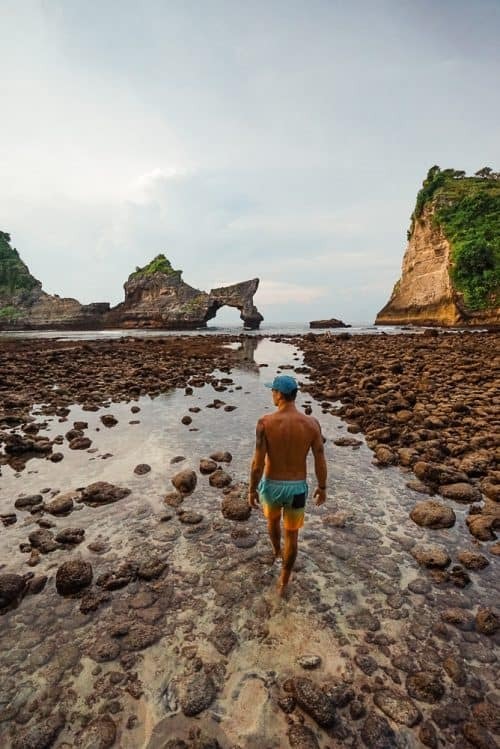 It takes approximately 5-10 minutes to hike down to Atuh Beach Nusa Penida. We left the La Roja Bungalows at 5am to get to Atuh Beach for sunrise and you will have to pay a small entrance fee of 10,000 IDR ($1). When we arrived it was still dark and we hiked down the stairs to Atuh Beach and we had it all to ourselves. 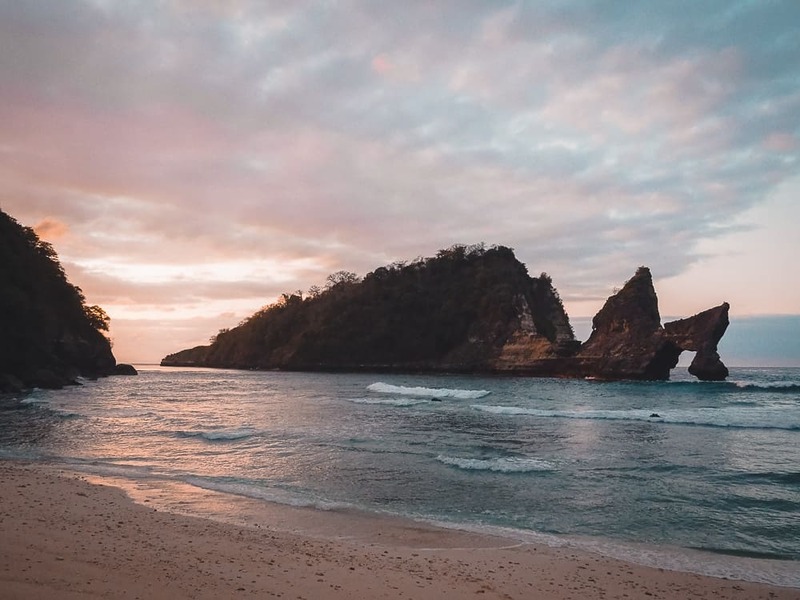 So if you want to experience this location without the crowds, I recommend exploring Atuh Beach Nusa Penida at sunrise. The clarity of the water at Pantai Atuh is unbelievable. From the top of the arch, I spotted some large reef fish and a squid just cruising around in the water below. This place just seems too good to be true. 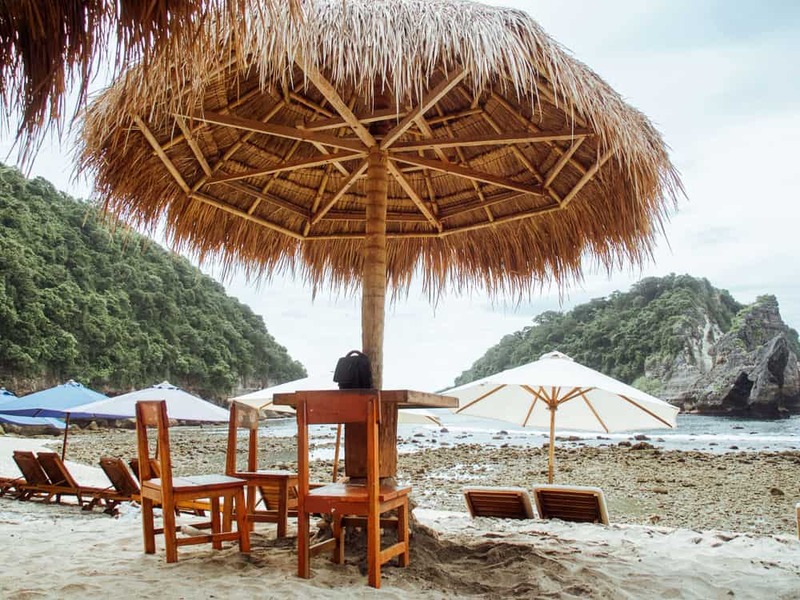 We swam back to the beach, which was still deserted, and ordered a local dish of Nasi Goreng for 25,000 Rupiah from the beach shack restaurant. The adventure continued to another insane viewpoint of the area overlooking Diamond Beach. 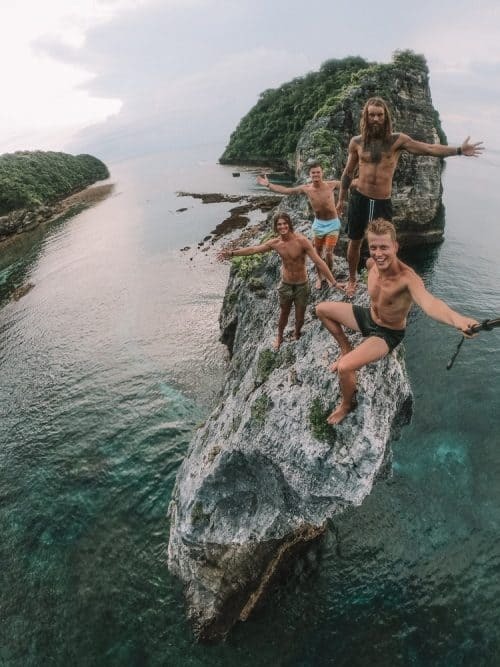 I guarantee you will be in awe when you discover these impressive rock islands and white sand beaches for yourself. 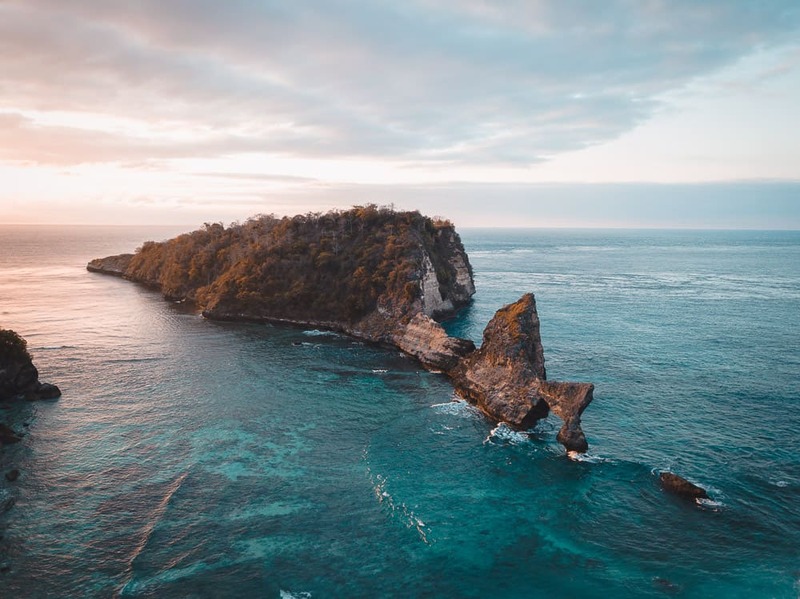 I could easily spend a whole day hanging at Atuh Beach though there is so much to see and do on Nusa Penida Island and so we continued to the Rumah Pohon Tree House. 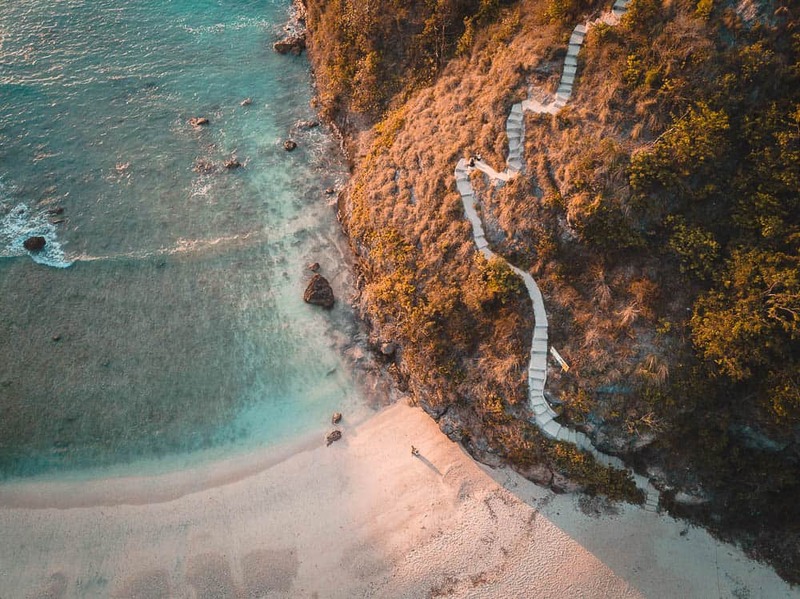 I hope you enjoyed reading this article and if you have any questions about Atuh Beach please drop me a comment below.